Have you ever just wanted to snap on a smile? Snap-On Smile uses a high-tech dental resin that serves as a cosmetic solution, either temporary or permanent, based on your needs. In just two, short, painless visits to the dentist, you can enjoy an affordable and life-changing solution, no matter your age. Snap-On Smile fits on over your teeth to give you a natural-looking but beautiful smile, even if you have stains or missing teeth! It’s not a permanent fix for dental problems, but this non-invasive solution will give you a cover-up or a transitional smile. Is it right for you? If you have gaps, stains, crooked teeth, or missing teeth, this may be something for you to try! Might be getting bridges or implants? You should wait until those procedures are done before you get a Snap-On Smile. 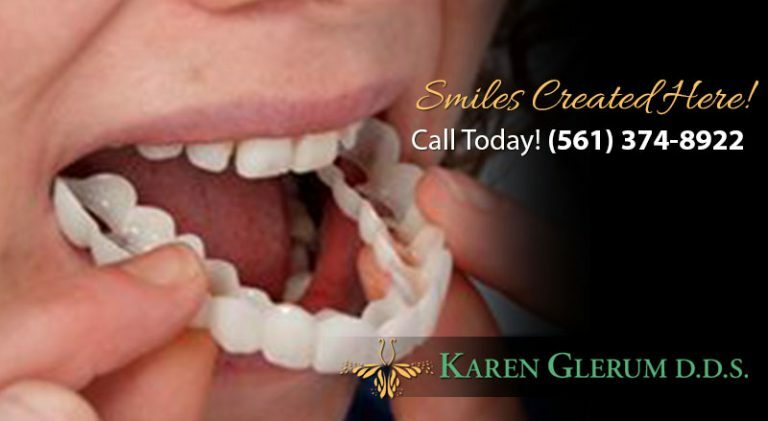 This quick fix is great for people who want a gorgeous smile without having to go through endless procedures. Hollywood smiles aren’t just for the rich now! Transform either your top row, bottom row, or both at the same time for an effortless way of returning a gleaming smile to your face. You can also give it a try if you have a partial, removable denture and would prefer a more comfortable, less old-fashioned alternative. If you miss how your teeth used to feel or look, try a Snap-On Smile for better aesthetics and easier eating! Get your confidence back. We know better than anyone that having great teeth can raise self-esteem and let you feel like your old self again. Confidence is fantastic for your mental health, so why suffer with teeth that make you miserable? Easy, painless, and quick! Just get your smile evaluated today, and you can get a fitting within 3 weeks. Then, you can wear your Snap-On Smile all the way home and beyond! This affordable option is inexpensive enough to be temporary but long-lasting enough to stay with you for years. Ready to get your smile back on track with a Snap-On Smile? Contact our team at 561-374-8922 for more information or to set up an appointment.